This painting speaks for itself. 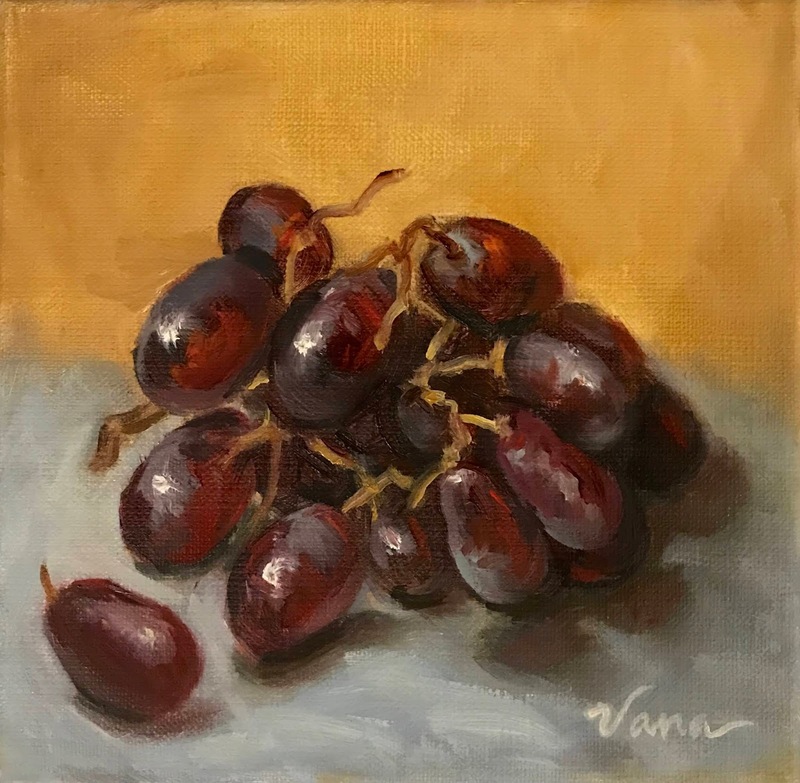 It is a simple painting of purple grapes--that I tried not to eat while painting. It is painted on a 3/4 inch stretched linen surface.